Dr. Betsy Schnur graduated with honors from Iowa State University’s College of Veterinary Medicine in 2010. Since then, she has spent her time in a variety of unique veterinary hospital settings including internship-training at Purdue University, years of high-quality emergency veterinary medicine, and in every day practice. Dr. Brittany graduated in May of 2011 from MSU with her Bachelor of Science in Zoology. She then went on to further her studies at Ross University School of Veterinary Medicine, and graduated in 2015. In her spare time she enjoys running, hiking, traveling and snowboarding. Dr. Brittany joined our team in January 2018. 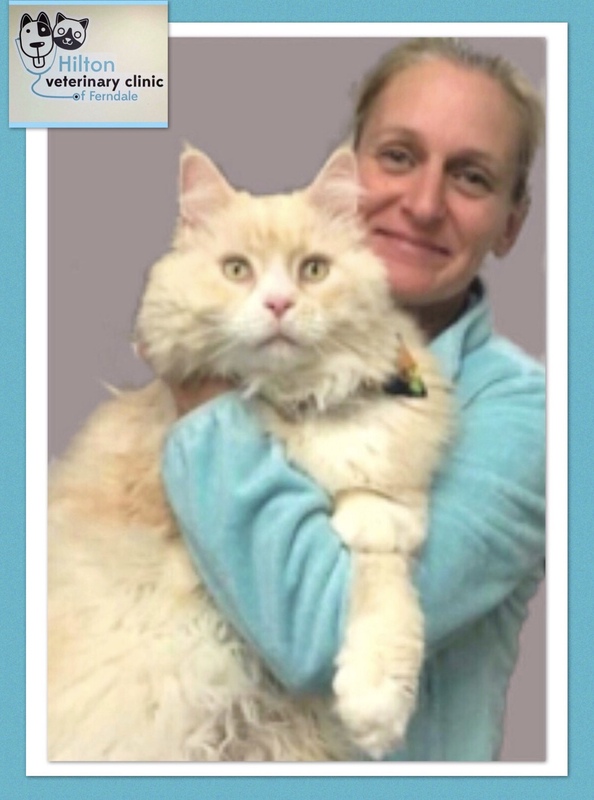 ​Heather has been a member of the Hilton Veterinary Clinic team since March of 2017. She began her career in veterinary medicine as a kennel assistant in July of 1999. Heather graduated from Macomb Community College and became a licensed veterinary technician in 2003. She has spent many years working with companion animals of many varieties, and has a special interest in making veterinary visits a positive experience, and is Fear Free certified. Currently Heather is a proud pet parent to and English Bulldog and to a black Labrador Retriever, 3 cats, 2 birds, and a rabbit. In her free time she enjoys spending time with her husband, and 3 boys, doing things like spending time exploring our beautiful Michigan lakes. Dawn has been in the veterinary profession for 33 years! She has been a licensed veterinary technician since graduating from Wayne county’s veterinary technician program in 1986. In her free time Dawn enjoys spending time with her two children, husband, two dogs, and two cats. Kaitlin has been a part of the Hilton team since February 2017. She is currently in college to become a Licensed Veterinary Technician. Kat has been a part of the team at Hilton since July 2017. Kat started her professional career with animals in 2009 as a kennel technician and receptionist in a dog hotel while studying to become a dog trainer. In 2015, Kat joined the veterinary medical field after being a patient in many clinics with a chronically ill personal dog. Kat enjoys being the first point of contact for our patients, and strives to make their visit as stress and fear free as possible from the moment they enter our office. In addition to being our receptionist, Kat is often our extra set of helping hands with patients in our office. When Kat is not working a Hilton, she stays busy operating her in-home dog training business throughout Metro Detroit. Kat shares her life with 2 shepherd mix dogs and is a mom to 1 young human.